Hi, my name is Nia-Rose and I am 13 years old. I am a member of the 2nd Mumbles Guides unit, Swansea. I have been a member of the Guiding family since I was 6 years old. I am delighted to have been chosen as the Girlguiding Cymru Youth Parliament Representative. I feel it is important for the views of young people to be heard and be able to play a part in changing the way in which our communities can develop and change for the better for everyone. I feel that I am well equipped for the role given that I am currently Form and Year Rep in my school at Bishopston Comprehensive. I enjoy public speaking and I am a friendly and conscientious person. I am passionate about raising the awareness of mental health issues and how such issues impact on the lives of children and young people. I believe that there should be greater education in this area and greater provision for helping those suffering with mental health issues. Sadly bullying is a reality in all schools and can have devastating consequences. I believe that there needs to be greater education in schools of the impact of such behaviour and empowerment for those being bullied. I also think it is important that our society tries to reduce the use of plastic and manages litter in order to protect our environment. Finally, I believe in equal opportunities for those with a disability, whether that be physical or mental, within our communities. As such I believe there needs to be more inclusion of disabled people and that differences should be accepted. 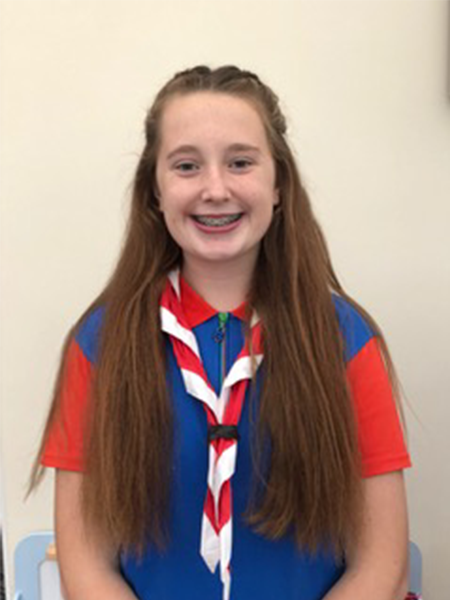 As your chosen representative for Guiding Cymru, I would like to visit other units around Wales to share with you my experience as a member of the youth parliament and gain your opinions on what really matters to you within your community. I am more than willing to listen to all of your views and convey these to the Parliament as I believe that everyone’s views are important and should be taken into account. Thank you for taking the time to vote for me and I hope that I can make a difference on your behalf.